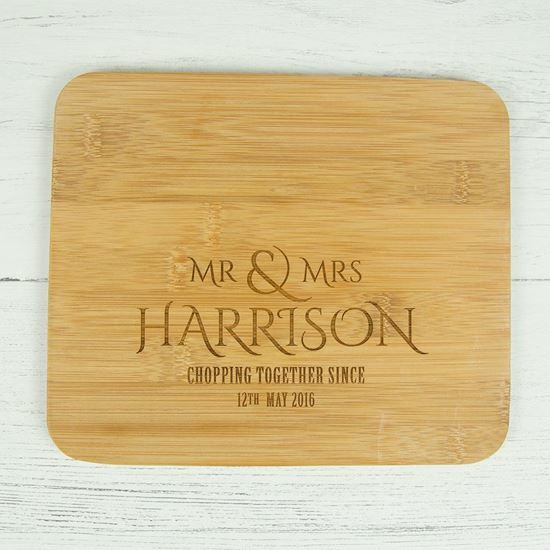 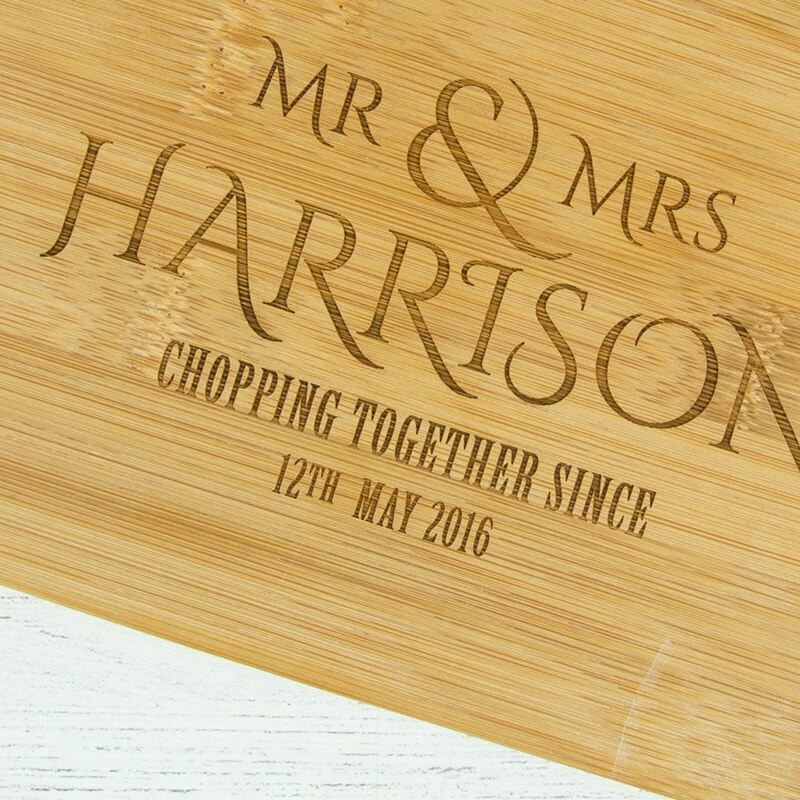 Engraved with your name and with the slogan "Mr & Mrs... Chopping together since" it comes personalised with the couples surname and the date of the wedding! 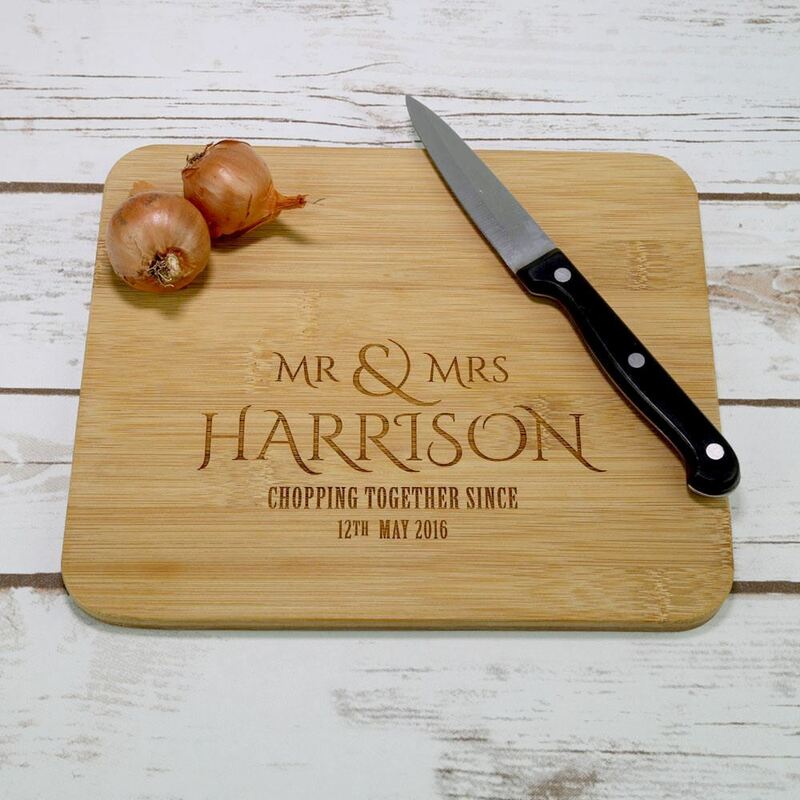 The board can be made with the titles Mr & Mrs, Mr & Mr and Mrs & Mrs. 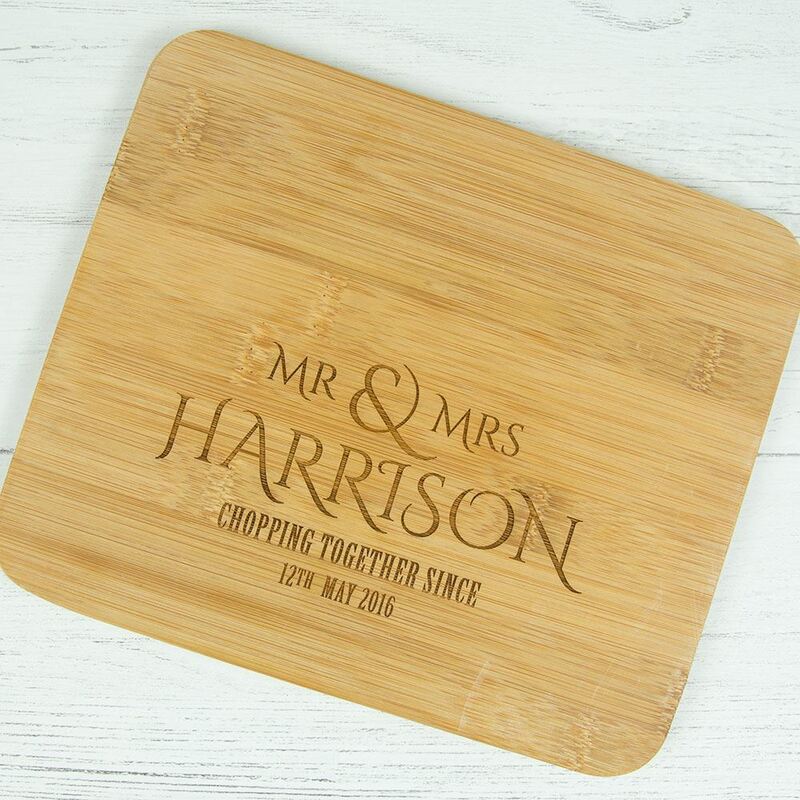 Please enter the surname and wedding date as you would like it to appear in a message with your order. Alternatively we will contact you after you have ordered.